Update 06/05/2014 – winner’s announced and credited. Thanks for participating everyone and good luck on next week’s featured new slot machine at BingoMania. At BingoMania, you get more than just bingo. In addition to the 30+ casino games, we’ve started to introduce new Video slot machines with up to 25 line bets. 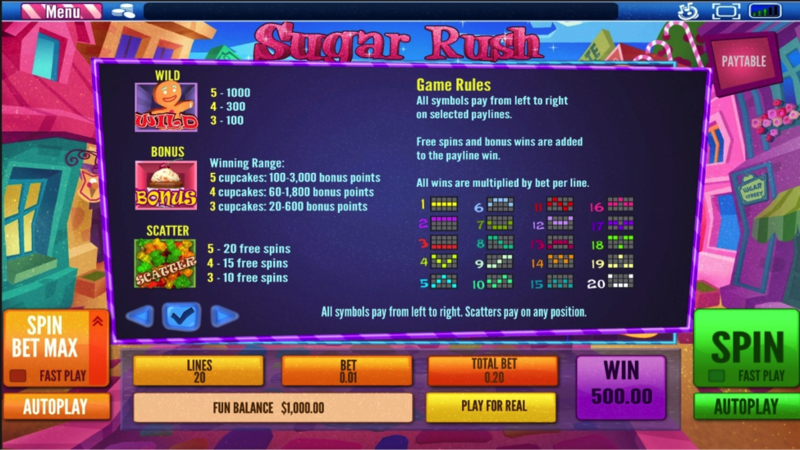 Last week, we offered you a chance to win 1 of 20 x $10 free cash credits towards the new Forest Treasure Video Slot and today, we’re featuring the sweet Sugar Rush 20 lines video slot and a chance 1 of the 20 x $10 free cash credits. Get your sweet tooth ready – it’s a Sugar Rush! Candy Street is now open for business and you are invited to take part in the festivities. The candy stores have set out their goodies on 20 lines. Line up the Gummy Bears to win up to 20 free spins. The Gingerbread Man is WILD and helps you pile up more sugar. 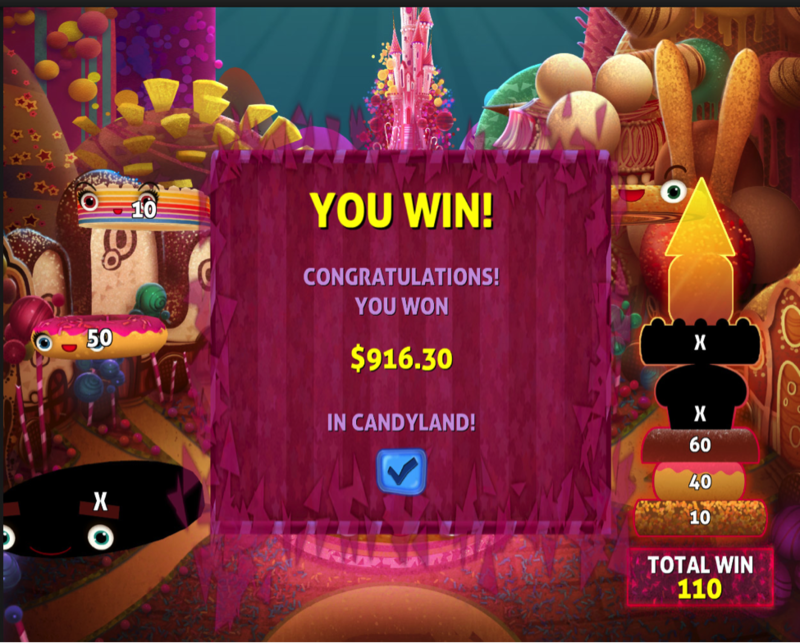 Help the happy candies build the highest castle in The Candy land bonus game, where you can fill up on sweets and win up to 9,000 Bonus Points. Bonus logic Candies of different shapes and sizes appear one by one at the top of the screen. Users need to stack them one on top of the other by dropping them clicking the Drop button or pressing space on keyboard.Each candy has a value attached to it. The value is awarded when the user properly places it on the tower. Values can be bonus points or loses. Game ends when user places 2 loses on the tower or all the values have been awardedIf users miss the tower, nothing is lost and the value is re-added to the pool of values. So missing the tower does not equal losing but actually helps users make a choice which candies to place and which to “throw away”. The pieces become easier to place progressively as users miss the more and more. Rule Hit 3 or more Gummy Bears anywhere on the reels to get up to 20 free spins! 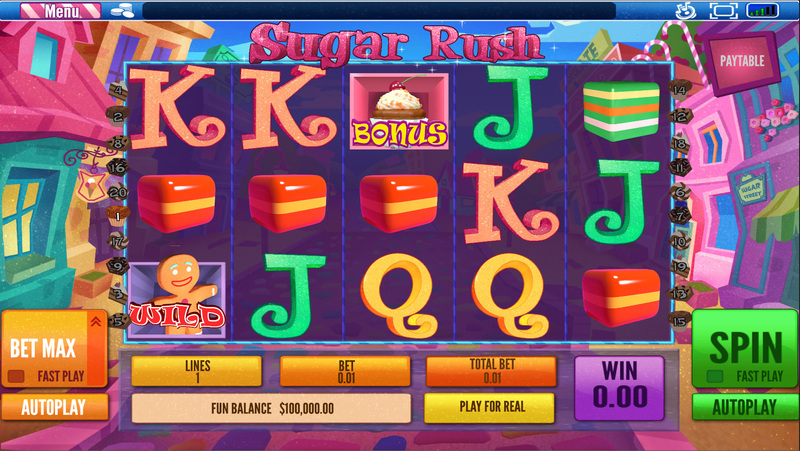 How To Play Sugar Rush at Bingomania? Like this post and comment below with your BingoMania alias and qualify for a chance to win 1 of 20 x $10 free cash credits. Winners will be selected by Tuesday, May 6th 12pm ET. Thanks.